I was teaching today on the subject of Jesus’ introductory message: “The time is fulfilled, and the kingdom of God has come near; repent, and believe in the good news” (Mark 1:15). On that day [The Lord’s] feet shall stand on the mount of Olives…And the Lord will become king over all the earth” (14:4, 9). This ‘returning’ as it is preached by the prophets is, basically, ‘a matter of returning to Yahweh with one’s whole being and in all decisions taking Him absolutely seriously as Israel’s God’. It is realized in obedience to his will; it involves trusting absolutely in him and ceasing to rely on such human helps as foreign alliances or on false gods; it includes a new attitude to everything, which expresses itself negatively as a turning away from all evil… (ICC Mark, 45). Here is where the movie Gladiator comes in. So, we have the great Roman emperor Marcus Aurelius who knew his demise was coming and wanted to select an appropriate successor. He chose Maximus (the general of his armies of the east) over his son Commodus. Yet, Commodus dared to secretly kill his father and ruin Maximus. So, the people of the empire hailed Commodus as Sovereign and Maximus managed to stay alive, though he was sold into slavery as a gladiatorial fighter. 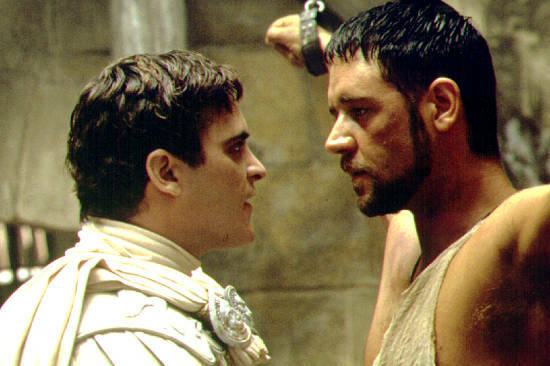 As Maximus climbs the ranks of gladiators and moves closer to being able to challenge Commodus directly, he places many of his fellow gladiatorial companions as well as former comrades in the Roman army in a position where they must choose – either they stick with Commodus who, though being evil was predictable and the soldiers’ lives would probably continue to thrive, or they join the Maximus’ revolution and seek to topple the reigning emperor. To “repent” in this situation (esp for the former military comrades of Maximus) would be to turn away from the power and authority of Caesar and turn to Maximus. Before Maximus actually toppled Commodus, those that supported him would be acting in faith. They probably had to trust that he was good enough to lead and strong enough to win. I think this would work as a basic analogy for what Cranfield is talking about. To “repent” and follow Jesus was a turning away, not just from Caesar or from the devil, but any and all centers of value and authority that have stood against the kingship of Yahweh. Jesus was insistent upon preaching “repentance,” not because he was a sourpuss, but because it would take this kind of epistemological and ideological shift to truly transform the world. Next postFinal Page Proofs Are In! Thanks for this image. That helps a lot.